← What to Expect in Respite Care? Upper respiratory tract infection or what is also known as “common colds” has recently shown an increase of cases among seniors ages 60 and older. The National Center for Health has recorded over 66 million cases of the common cold that required medical attention in the country and more than 200 different viruses have been found to cause the symptoms of the common cold. Friendship Manor, a trusted provider of skilled nursing services in Friendship Dr. Nashville IL, sees that this is a pressing concern that elders must have stronger protection from since about 10-15% of adult colds have been linked to different viruses that are also responsible for serious illnesses. Common colds are not the immediate result from contact; in fact, it begins 2-3 days after infection causing sore throat, headache, difficulty in breathing, and sneezing. People who are known to experience the symptoms of a common cold for more than 2 weeks may already be a result of an allergy. Having a headache and a clogged nose are actually trigger symptoms that the immune system has detected the virus flooding the infected area with chemical messengers and white blood cells. According to experts of Common Cold Centre in Cardiff, it is the immune system’s response to the viruses that makes us feel ill.
You might think that your nose gets filled with mucus because you feel that your nose is getting stuffy from time to time. Actually, once your immune system detects a certain matter that it does not want in your body, it releases the white blood cells who become soldiers that flood the area causing the blood vessels in your nasal area to swell up. Decongestant sprays are often recommended to reduce the inflammation. Once an infected person sneezes or coughs, they release droplets of infected mucus into the air. For most of the time, we are used to sneezing through our hands to cover out mouths but if this person holds on to objects such as the doorknobs and railings, this contaminates the place. This is the reason why we should wash our hands regularly before we eat or touch our eyes and nose because we might have touched a place or object that has been contaminated. You would know that you have the common colds when you experience its symptoms such as sneezing, sore throat, a slight temperature, coughing, a blocked nose, and headache. It is best for you or your elderly loved ones to get enough rest, eat well, keep hydrated, and avoid stress. Your elderly loved ones might not be able to do these on their own; hence, it is often necessary for your elderly loved ones to obtain a reliable provider of skilled nursing services in Friendship Dr. Nashville IL for necessary assistance to address issues ranging from the symptoms of common colds to serious ailments. Skilled nurses will be able to monitor their condition and help your elderly loved ones maintain a healthy well-being. As for medications, your elderly loved ones may already have problems in terms of managing them since most elders are known to have multiple medications for several problems. With the help of a skilled nurse, they will be reminded of their medications and they will have professional care and guidance when to take and how to effectively take them. Drug-drug/Drug-food interactions must be kept in the good watch because the medications might be intensified or reduced due to the interactions. You or your elderly loved ones should see a doctor if you or your elderly loved one has a chronic condition, if they experience bouts of high fever, vomiting but no diarrhea, has rashes that come with the fever, if they stop drinking and often sluggish, and if their fever does not respond well to OTC medications. 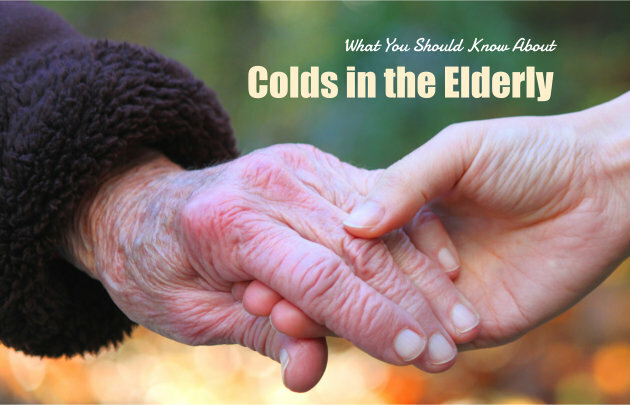 For more information and assistance on common colds and other health problems in the elderly, call Friendship Manor, a dependable provider of skilled nursing services in Friendship Dr. Nashville IL, today! We also want to hear from you! Leave your comments and suggestions below!